Heavy Weight. 8 each of Knife, Fork & Spoon. Hand washing recommended. BPA Free. 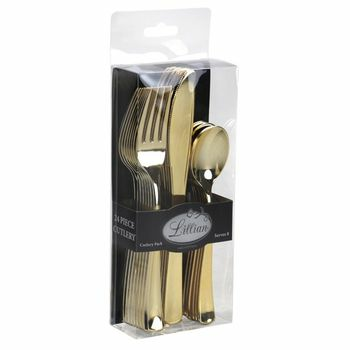 Product Size: Fork 7.5", Knife 7.75", Teaspoon 6.25"